Mornings in our house are a blur of clothes, hair, toys, dogs, cats, COFFEE. I try to cook ahead on the weekends and make our mornings (and lunches) easier. This is one of my favorite make-ahead breakfasts. I get four servings out of this and I can take it to work and eat it cold or warmed up. It's hearty and healthy and adaptable to what sort of fresh or frozen fruits I have on hand. The edges are dense, sort of like a muffin, but this recipe has no flour. The middle gets soft and more like cooked oatmeal. I can stretch out the servings by adding a side of yogurt. This also makes a great lunch if I've had something else for breakfast. YUM! But terribly hard to photograph. Preheat the oven to 350 and grease a baking dish you can cover with a lid or tinfoil. Chop nuts and set aside. Mash bananas and stir in eggs, milk, vanilla, cinnamon, sugar (if using) baking powder and baking soda. 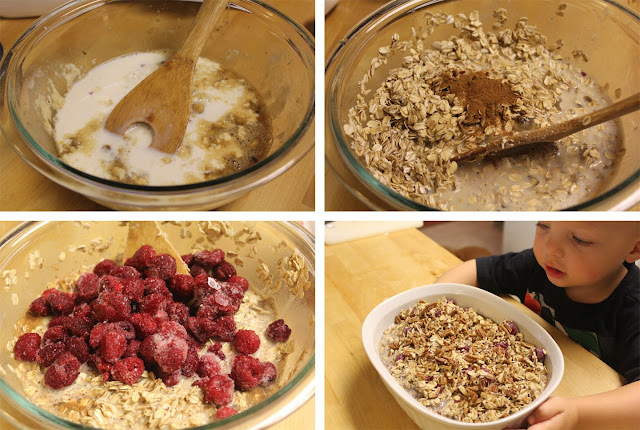 Stir to combine and then add in oats and raspberries. 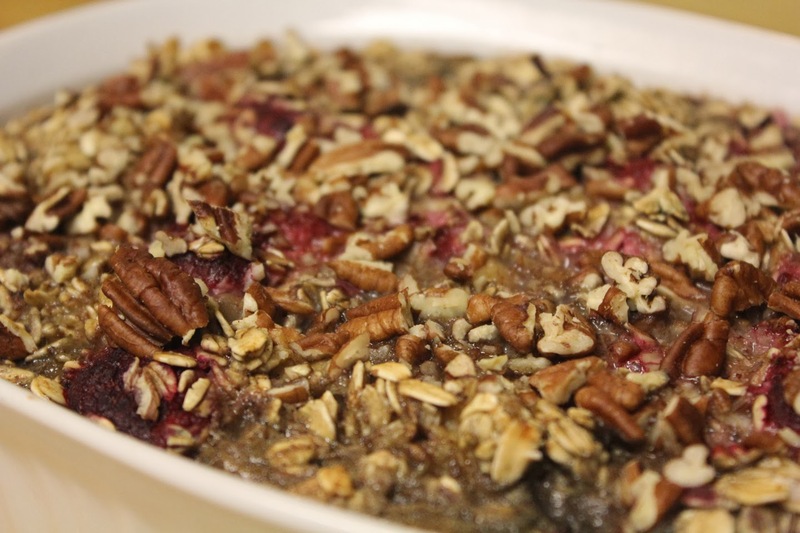 Stir to combine and pour into the prepared baking dish. Top with chopped nuts and bake covered for 15 minutes. Uncover and bake an additional 30 minutes. This is delicious warm, and I like it just as well cold. This is a super adaptable recipe! 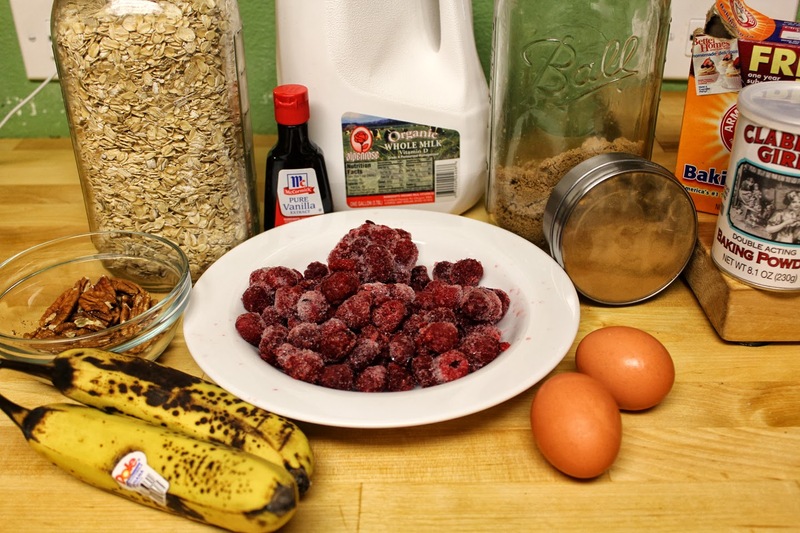 Omit raspberries and using one mashed banana add 1/2 cup of peanut butter and 1/2 cup of chocolate chips. Heaven. 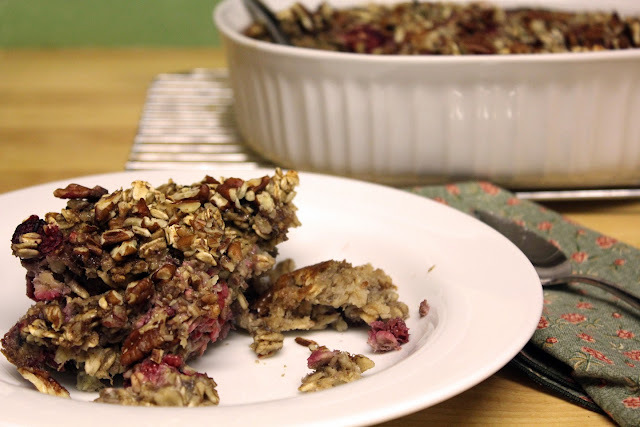 I've used blueberries, strawberries and blackberries in this recipe. All delicious, but raspberries are my faves. I've used chopped apples in place of the berries. I've used apple sauce instead of bananas. 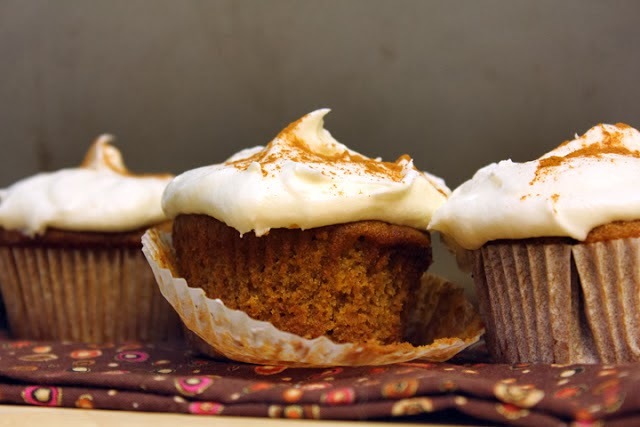 I've used pumpkin puree in place of the bananas and added pumpkin pie spice to the cinnamon already in the recipe. New parents - this is a wonderful thing to have around as you fight off exhaustion and a severe need for calories. Does it matter what type of oatmeal you use? i.e. Steel-Cut?